Thank you for your support in 2018! You are here: Scottish Bible Society » Latest News » Thank you for your support in 2018! Your faithful support has a life-changing impact as you give the gift of God’s Word. 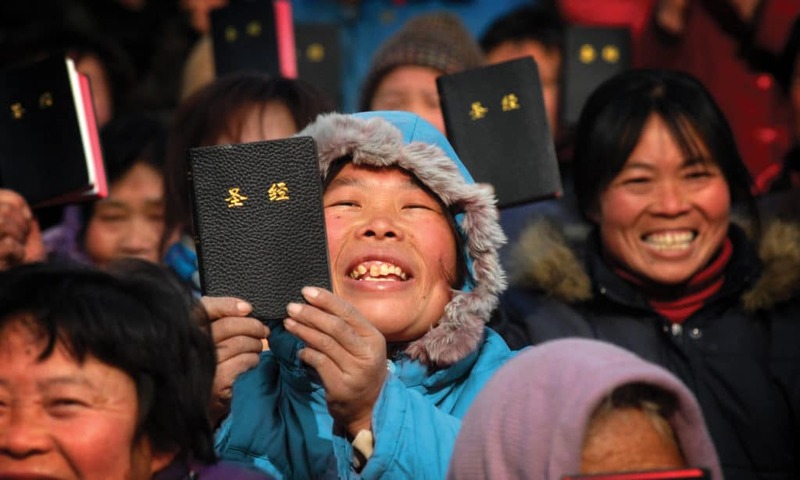 From here in Scotland to Cuba, Uganda, Iraq and China, more and more people are discovering God’s love for them through the Bible because of the prayerful and financial support you gave in 2018! 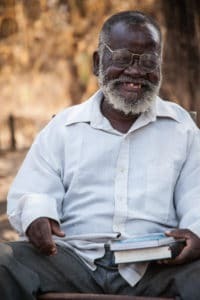 People like Pastor Tingo Wende in Malawi. Pastor Tingo found it difficult to preach to his church owing to the fact that his Bible was so old and tattered that it started at Genesis 42 and finished at 1 Corinthians! But because of your support, Scottish Bible Society workers and volunteers were able to gift him with a brand new Bible when they visited last year. And in Iraq, the Bible Society are using God’s Word to heal broken lives using a Bible-based trauma healing programme. As people return to their homes from refugee camps, many suffering from physical and emotional wounds, they return to homes that have been destroyed by ISIS. Trained Bible Society staff and volunteers are using the Bible to help these people heal, and your generosity last year meant we could support this programme. As we move into a new year, we look forward to partnering with more Bible Societies, so that even more people can have access to a Bible and be transformed by the living power of God’s Word. We will also be continuing our Bible mission here in Scotland in 2019, with a number of projects designed to increase engagement and understanding of the Bible. 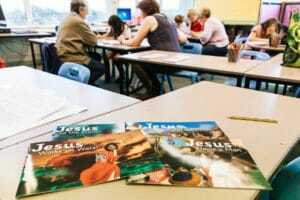 We are very excited about the launch of our Bibleworld Books resource, an exciting new children’s resource designed for churches to use within their communities to promote literacy and learning while exploring stories from the Bible together. 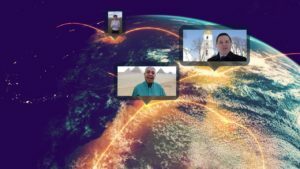 At the beginning of next year we will launch our new global Bible engagement initiative called Bible 2020 – an ambitious project which hopes to see lives transformed through the daily reading of the Bible on a smartphone app. Thank you for your ongoing support and partnership in the work of the Scottish Bible Society! Because of you, more people than ever have access to God’s Word. 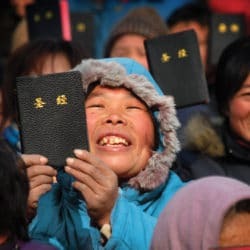 for the projects that we supported in 2018 and the projects we will support this year, that through the generous financial giving of our supporters they will be able to reach more people with the Bible. for the wider UBS Fellowship, especially Bible Societies in countries where it is difficult and/or dangerous to fulfil our mission. Pray for continued strength and safety, so that staff will be able to continue their vital work. for the SBS staff working at Bible House in Edinburgh, as we look forward to another great year of full of exciting Bible projects. Our Spring issue of Alive & Active is out now! Immanuel – God with us. Millennials, Church and the Bible.